The OODA Loop is pretty useful for thinking about various things. Today I’m going to explain how we did things quickly in putting together Ikigai, through the lens of OODA. 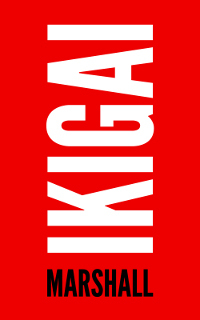 We did Ikigai really fast by publishing standards. In a week to be exact. When you go through the OODA loop, you observe what’s happening, then orient yourself to figure out what it means. Once you know what’s happening, you can decide what to do, then act. Assuming you only act after you observe, orient, and decide, the speed at which you can act is dictated by the speed at which you observe, orient, and decide. The orientation and decision are entirely based pretty much on you. Your emotional state, your analytic ability, the mental frameworks you use, etc. How do you orient more quickly? You can copy precedent, apply frameworks from before, become more tolerant of errors, etc. I personally favor developing frameworks during my non-rushed time, but that’s just me. I can’t say how useful finding precedent and frameworks are. One of the best reasons to study history is to know what’s possible, and how things happened. For instance, most of the transitions between centralized and decentralized information empires were caused by law suits, and I never knew that before. I’m planning a post comparing the historical precedent of other information industries and publishing. Sebastian has tons of precedent and frameworks behind him, and it shows. I’d be clueless and trying to think through things, and then he’d just email with what he thinks we should do, why we should do it, and a rule he learned from doing things before. One of the most important parts of experience is that it clues you into what’s happening faster than you would be able to if you didn’t know how things ended before. How do you decide more quickly? This is hard, because it involves way more emotional stuff. I think that most people have issues with committing to plans of action. There are plenty of things that will divide your focus and sap your resolve. You’re attached to your current plan of action, even if it’s not particularly working right now. Slowly allowing things to fall apart is often less painful than admitting you’re wrong, for some reason. You can’t look forward because you’re stuck in the past. You’re afraid of what happens if you mess up. You can’t commit to a plan because you’re afraid of failing. You’re worried it will look bad. Having clear goals helps a lot. If you can avoid identifying with your plans and ask the question “Does this get me what I’m aiming for?”, your decisions will happen a lot faster. It doesn’t matter what you think, it just matters what will actually happen. I relied on this a lot. There were quite a few things I wanted to put into the book (like a chapter about time and Japan), but there just wasn’t the material to tie it together. Since I wanted to teach people, I dropped them. There were some progressions I liked, but since they wouldn’t help an ambitious reader improve their life now, they also got the axe. At times I would be confused about what to cut out, and then I would refer back to the goal and it would be obvious. Another frame is to just accept the errors, and trust that they’ll be made up for with better data. This is hard, but once you see that strategy work a few times, you start to trust it. On the project, we were able to do this because we had test readers looking at the book as it was being written. Rather than spend more time arranging the posts, I could just ask Louis what he thought of them. If he liked it, awesome, then maybe a few more tweaks. If something didn’t work, he’d tell me. There are lots of internal reasons to go slowly. If you want to beat them, you should probably just buy IKIGAI and read it, there’s lots of good stuff about how to beat it in there, particularly the Growing section. Observation and Action may be covered in a later post.